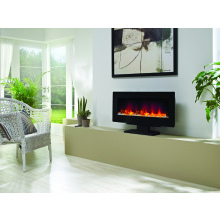 Electric fireplaces provide a convenient alternative to traditional wood-burning burning fires in all homes and properties. 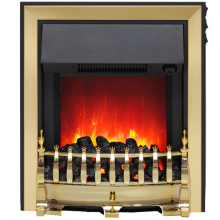 Able to produce a flickering flame, crackling fire sound and a relaxing, warm flame, electric fires include all the benefits of a traditional fireplace without the inconvenience of maintenance and mess. 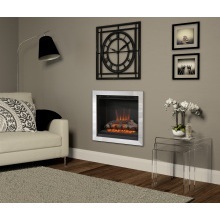 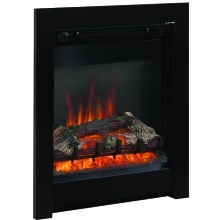 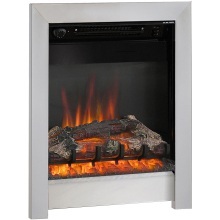 Electric fires can be installed in a number of different styles, models are available as wall-hanging, external features for contemporary designed spaces or alternatively as built in faux-traditional chimney fires or stoves, more appropriate in conventionally styled rooms. 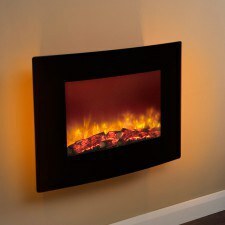 The higher energy efficiency of an electric fire means that they offer a far cheaper running cost than that of wood-burning fireplaces, saving you money.